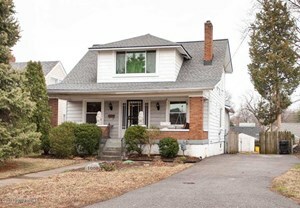 You HAVE to see this adorable bungalow located in Parkway Village! Beautiful hardwood floors in the living areas and bedrooms. New windows and skylights throughout and an updated bath. Tons of natural light and nice sized rooms make this 1950 sq ft 3 bedroom, 2 bath house feel very open. The built-ins on each side of the fireplace are just a sample of the character in this home. The large front porch is warm and inviting. The new back deck which goes along the entire house with the fenced in back yard make it perfect for entertaining! Click to schedule your showing.